The personality of your photographer can make or break the mood of the day. We bring the positive energy! The professional calm yet energized direction is something our clients love! If you watched "Our Why" video on the "wedding stories" page you'll understand why photography is so personal for us. Hiring your photographer is such a personal choice for you as well. On a wedding day you are inviting us into the most intimate parts of the most important day of your life! We will be together more than any other person on your special day and in some cases be working together for 18 months or more when you include pre-wedding, wedding and post-wedding communication. We take a lot of pride in the responsibility of documenting your family history and creating your first family heirlooms, your album. We deliver quality and customer service and we believe with both, you get what you pay for. Which is why we only offer top-of-the-line products and service in our studio. In fact, the same leather we use for our albums is also used by the White House for all of their furniture. The paper we use is the same the Guggenheim prints all of their exhibits on. We limit the number of clients we accept every year so we can devote our attention to each persons needs. What this means is that when you hire us, you'll have our full focus and attention. This isn't our second job or something we do on the weekend. You won't be getting another burnt out photographer who is exhausted from shooting one wedding after another. We have photographed hundreds of weddings for joyful couples, including world-famous celebrity musicians, NASCAR race car drivers, International Models and NFL Super bowl champions. From extravagant 800+ guest affairs to intimate 20 guest destination wedding parties. We have photographed in half a dozen countries around the world. So if you're planning a destination wedding, you've come to the perfect studio. We have won international photography awards and been featured in national publications. This is the most important day of your life. Hiring the right professional is of the utmost importance. Of all the choices you'll make for your wedding day, this is the one you'll live with for a lifetime and share with your children and grandchildren. When the day is over, these images are all you have. Your wedding deserves our devoted fine art craftsmanship, technical precision and unwavering artistic passion. Be sure to hire a true professional. Someone you trust and who genuinely cares about you and is invested in your day. We enjoy mentoring our fellow growing photographers and conducting workshops for success. 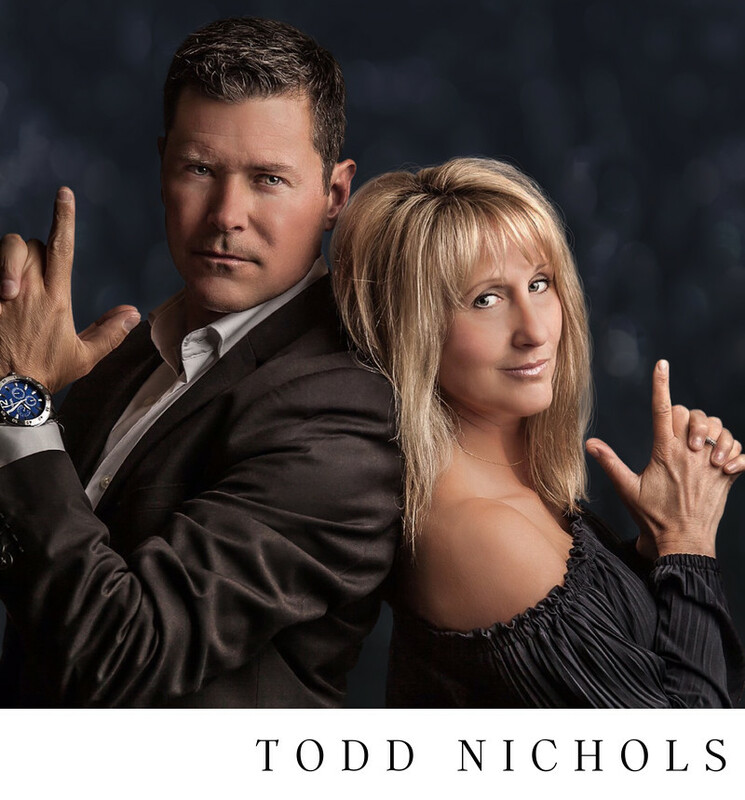 Todd's background in photography and his training as a sought-after personal development instructor with Dale Carnegie pairs well with Julie's MBA degree, business experience and eye for style. Inquire here for mentoring sessions and upcoming workshop dates.